A list of best design articles published during June – July, 2018 is presented below. Providing a simple user experience to perform advanced search is a challenge. This article presents few examples of best practices that can be used to define a simple and intuitive user interface for advanced search feature. Being part of a scrum team, developers, testers, and UX designers can better contribute and hence produce a quality product. 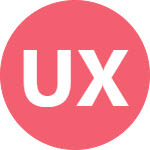 However, there are few challenges a UX designer face while working in an integrated scrum team. This article lists the challenges along with few recommendations that can help to overcome these challenges. This article contains names of few amazing UX/Design writers on Medium whose inspirational and motivational stories made me think to write my owns. This article shows the importance of usability in a product’s life cycle. If a product is not usable for its users, then chances of its failure are high. This article focuses on self explanatory design. When a user comes to your product, he should be able to find possible actions that he can perform with the design. If the interface has to explain itself to its user at each step, it is not possible to navigate the user flow smoothly. Consistency is the key principle of UX design. If user has to find a new way each time to resolve a similar kind of problem while working in a design, he will get confused and frustrated at the same time. User research is a very important step in user centered design process. It is good to create user personas and refer to them while designing the product. ‹ PreviousIt may have already been “said”, but not by me!